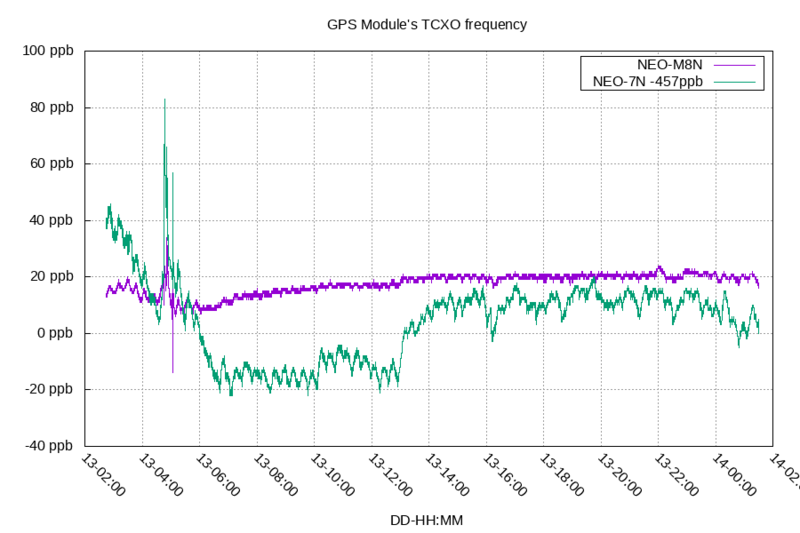 To pick up from part 2: I wanted to test one of u-blox's TCXO based modules to see if that improves getting a signal. I'm also comparing these modules to each other to see how closely they agree on the current time. 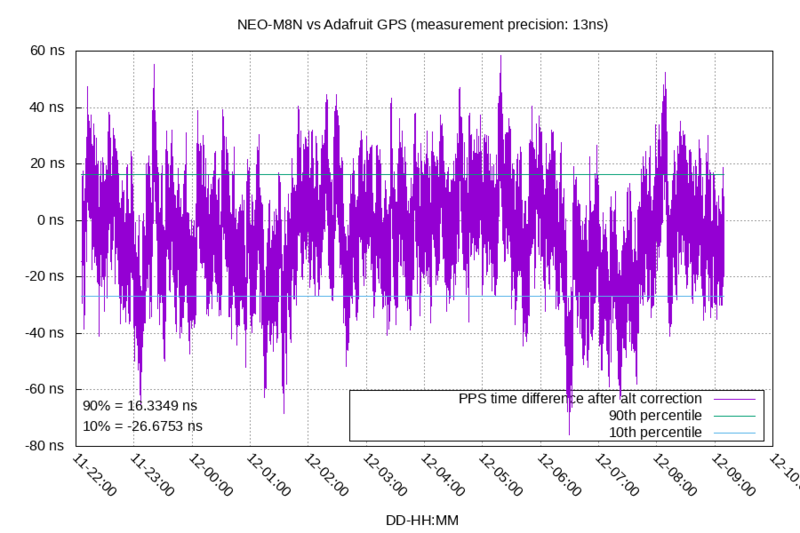 Expectations for GPS modules are to agree around +/- 20 nanoseconds, but that isn't a guarantee. I bought two u-blox TCXO based modules: a NEO-7N and a NEO-M8N. The main difference between the two is the 8 series adds support for Galileo and BeiDou satellites. They both support the GPS and GLONASS satellites. I bought them off of two random vendors shipped from China. I suspect the NEO-7N I got was counterfit because I couldn't update its firmware. I peeled back the labels to see if the RF shields matched what other people said of their counterfit modules, and my NEO-7N did match their description. 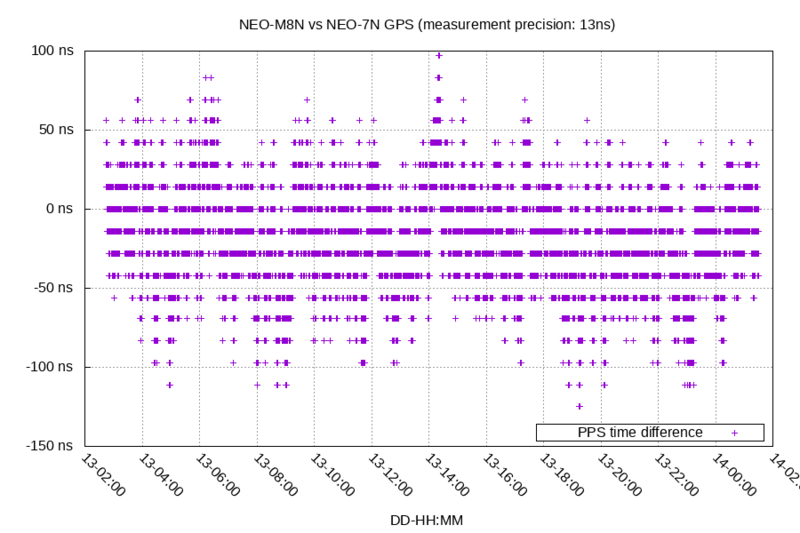 The NEO-M8N looks legit to me, and I was able to update its firmware. 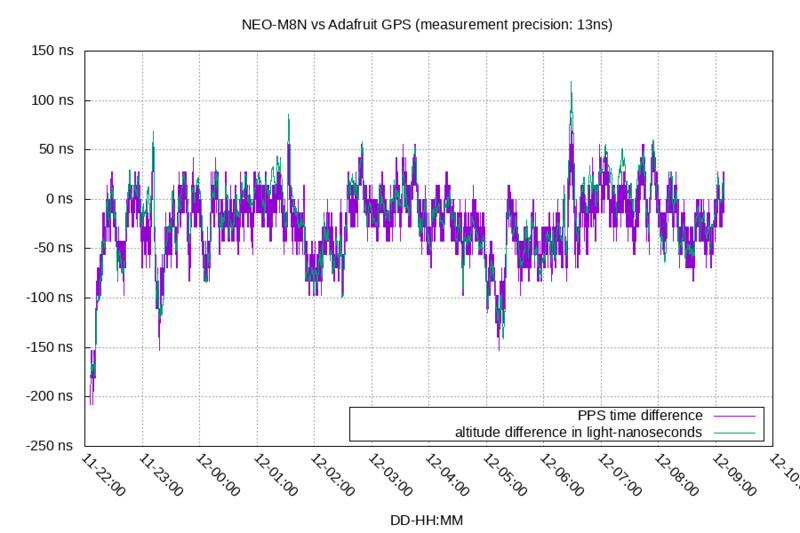 This is probably from two factors: I'm using an indoor antenna - an outdoor one would have a better signal, and I'm using standard GPS modules instead of a timing one. 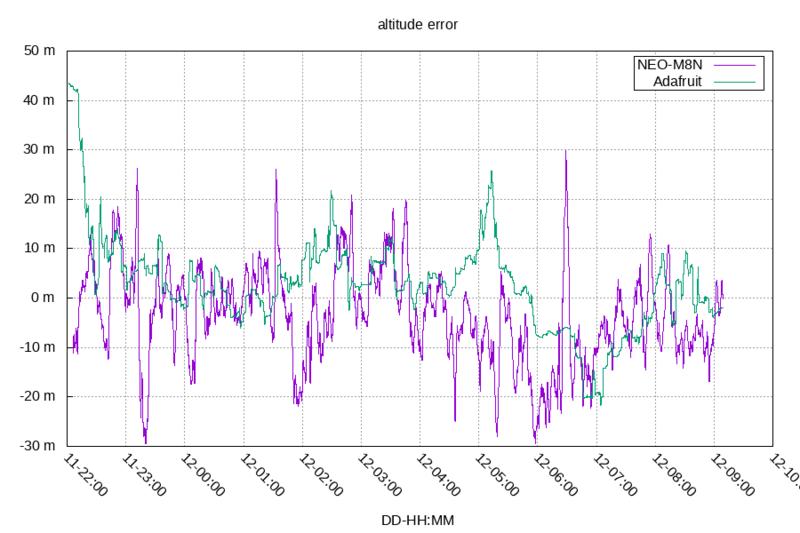 Which is much better, and pretty close to my measurement limit. 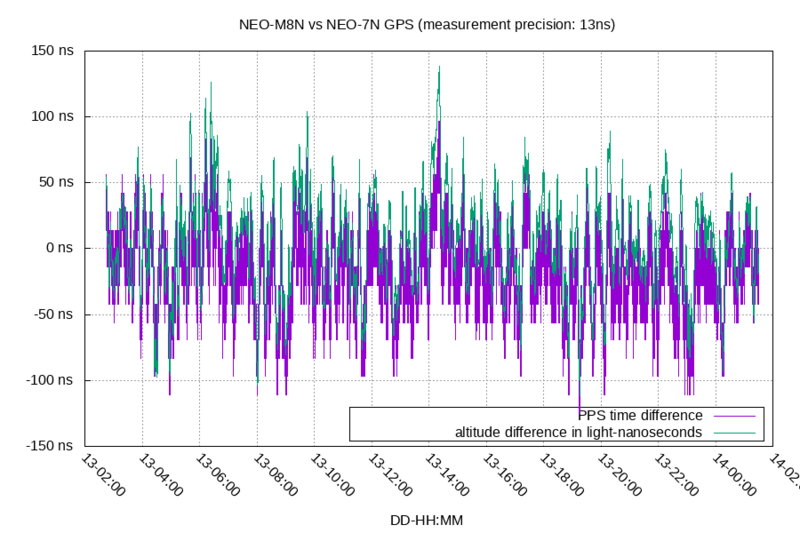 I shifted the NEO-7N's line down by 457ppb to make it easier to compare the two. 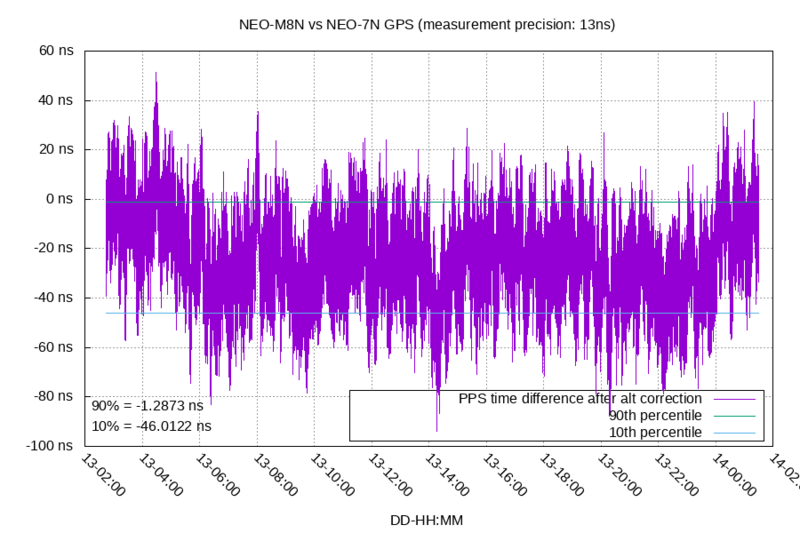 The M8N's frequency was much more stable, but the 7N was pretty decent even if it was counterfit. 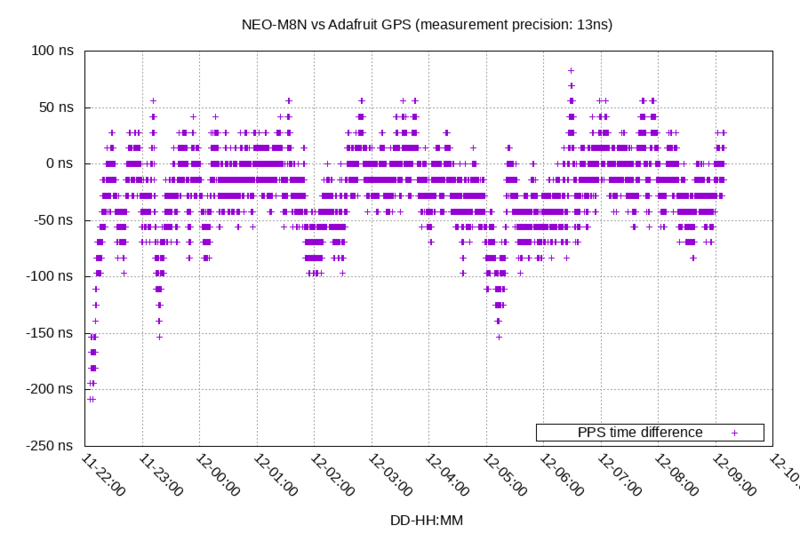 The M8N also had better satellite reception, on average it saw 1 more signal than the 7N. Both of them reported a full 3D navigation lock over this entire time period, so it wasn't a large difference. Because the M8N supports more satellite systems, has a better TCXO, and had slightly better reception, I'd recommend it over the 7N. 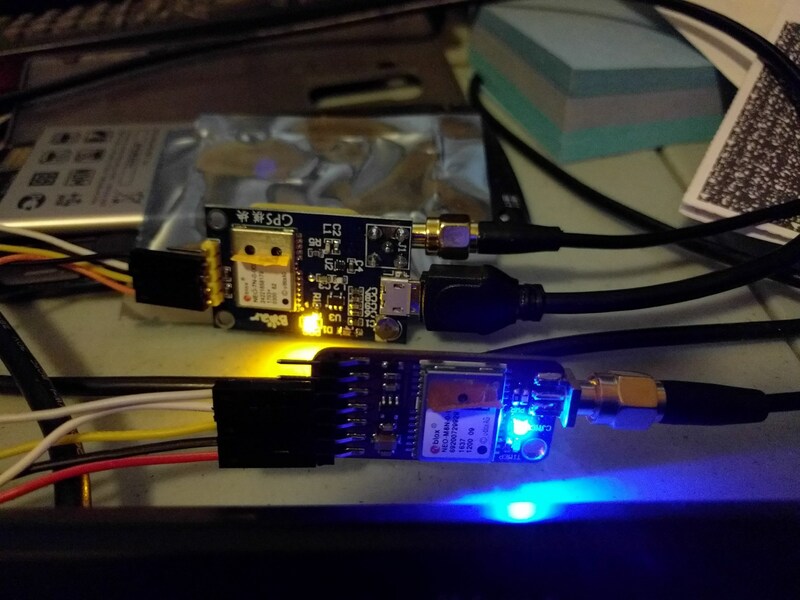 To show that it isn't just one of the modules having large changes in altitude, here's a comparison of both of the GPS modules against what I believe is the "true altitude". I've learned I need to change my expectation of these modules being within +/- 20ns of each other! 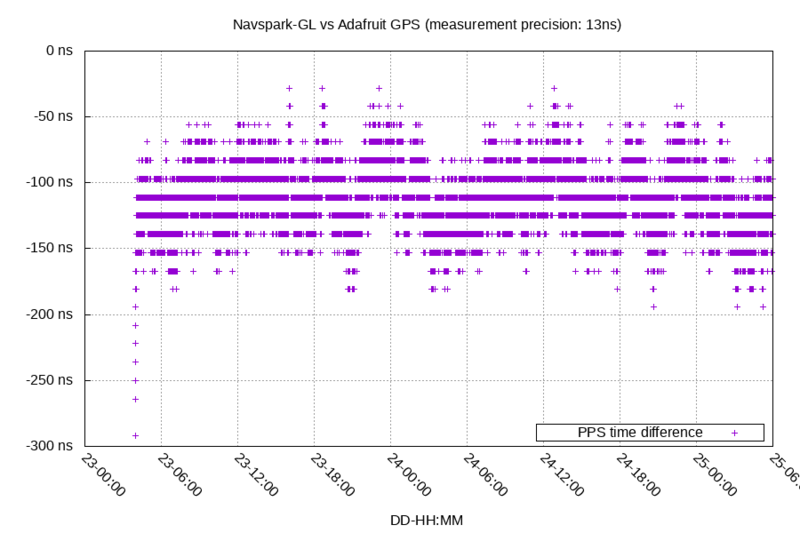 However, GPS modules being within +/-100ns of each other seems like a reasonable expectation that would be true most of the time.